We have volunteer opportunities from the construction site, to the Habitat ReStore to special committees and our administrative office.  There are many ways for you to take action for affordable housing. We use a combination of professional and volunteer labor to build Habitat homes. Depending on the stage of construction, we may have opportunities for you to build with us! We welcome volunteers of all skill levels. The Habitat ReStore is a home improvement resale that is open to the public. The store is our biggest fundraiser, and it is run by a small staff and many dedicated volunteers that help organize inventory and assist customers and donors. From serving on a committee, helping out with adminstrative tasks in the Habitat office or joining our Lunch Bunch to help nourish our construction volunteers, there’s a place for you to make a difference and contribute your skills.